Once Walter/Wendy Carlos had released “Switched on Bach” in 1968 and people realised the possibilities of electronic music there were numerous instrumentals using the Moog Synthesizer. Even pop groups like the Monkees, the Beatles the Moody Blues and Chicory Tip had dabbled with electronic sounds. German groups in the early 1970s took to electronic music in a big way. In the USA there was Tontos Expanding Headband. I forget what the initials T.O.N.T.O referred to, but I recall that Stevie Wonder made good use of their machines. 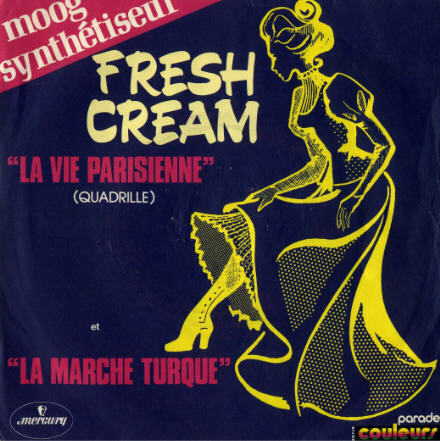 This single by “Fresh Cream” was released in France in 1973 and features an early Moog Synthesizer. It is also probably one of the last singles to be only released in mono. Side two is the better tune in my opinion. 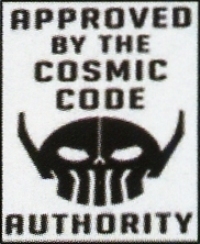 Side one here. Side two here.